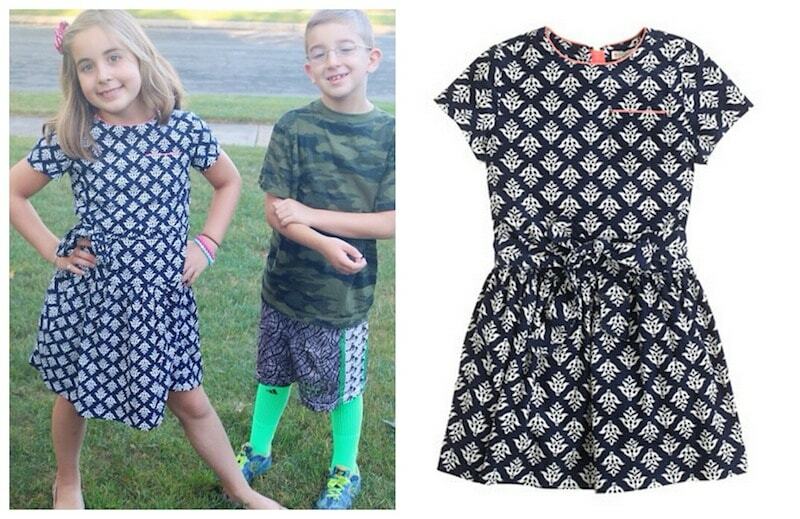 On the first day of school, my little girl wore a beautiful dress from Crew Cuts by J Crew. I had an entirely different outfit planned for her, but NY got an incredible heat wave and we had no choice! We had to bring out something lighter for the weather. The Needle Cord dress retails for $69 and we will get a TON of use out of it. I bought it NOT on sale and was ok with that because I really adored the print and the quality of the fabric. This dress will not fall apart when washed. It took me a while to pick out this dress because there were so many fab pieces on display. 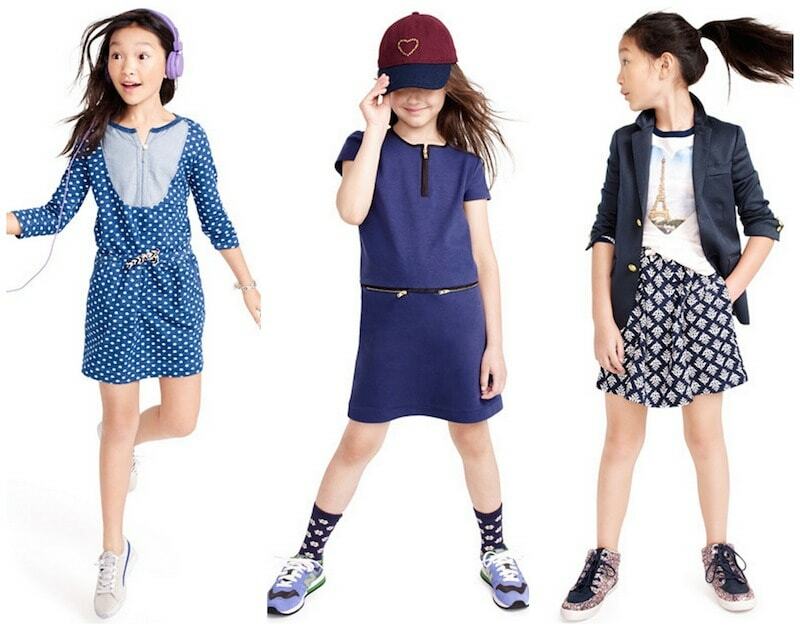 Here are a few looks from the Crew Cuts girls line. Yes to them all! I love how J Crew pairs their dresses with sneakers in their look books. 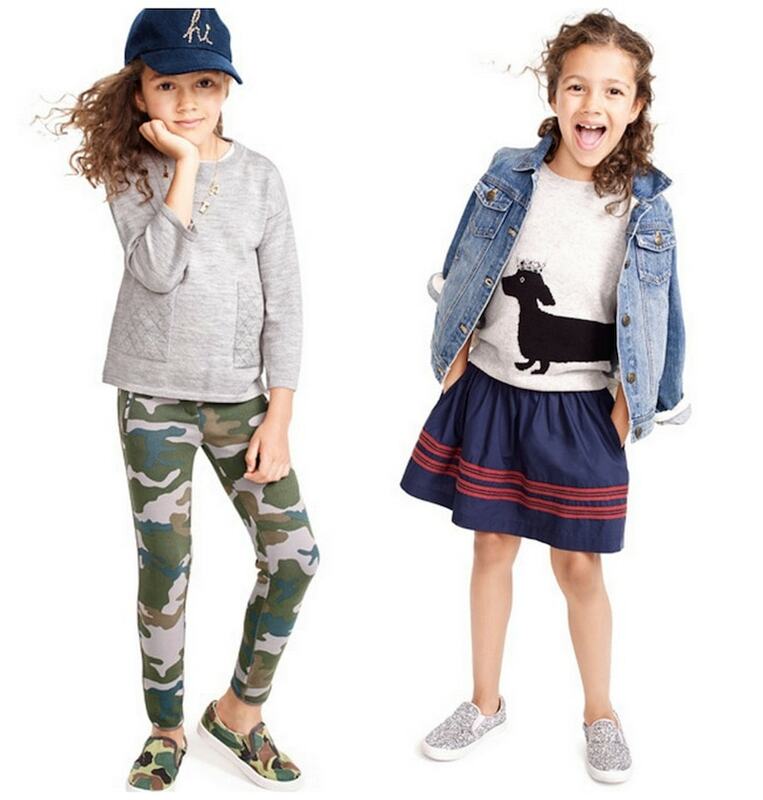 You can dress these pieces up or down with this age group by simply swapping out the accessories. That polka dot dress would be perfect for a day at school OR a night out with the family if you just put on a nice pair of flats instead. Check out all that is Crew Cuts here.